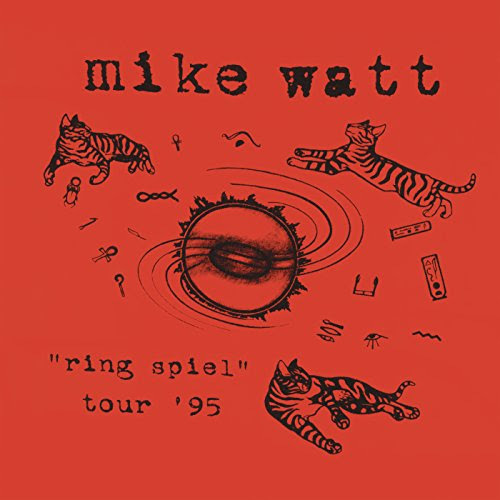 NY-Columbia Records and Legacy Recordings have announced that they will be releasing a double album of Mike Watt's 1995 "Ring Spiel" Tour on November 11th. The set will features Watt's May 6th, 1995 show at The Metro in Chicago, where he was backed by Eddie Vedder and Foo Fighters, David Grohl, Pat Smear, and William Goldsmith. The album will be available in digital format, CD, double LP, and a limited edition orange colored vinyl set. The first three formats are currently available for pre-purchase on Amazon. In March 1995, Columbia Records announced that Watt would be hitting the road for the first time as a solo artist. Members of opening bands Hovercraft and Foo Fighters –Vedder, Grohl, Smear and drummer William Goldsmith–joined headliner Watt on-stage as eager participants of the jaw-dropping back-up band heard on the “ring spiel” tour ’95 album. Watt’s relentlessly energetic set at The Metro on May 6, 1995 is an astonishing sonic time machine, catapulting the listener back to that historic gig, with Watt and his fired-up and raw back-up squad, the musical lineup constantly shifting between performances to accommodate the different feel and shape of each song.